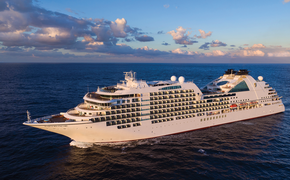 Oceania Cruises is offering more than 20 cooking classes on cruises on the Marina and Riviera next year, including how to prepare regional cuisines, make fresh pasta and cook fish. The classes range from 45 minutes to three hours and cater to beginners and experienced chefs. They often include market tours where guests shop for local ingredients and they can be purchased in advance with onboard bookings based on availability starting at $69 per person. Highlights on the Riviera include “French Classics” on the May 5 cruise from Istanbul to Athens, “Italian Family Table” on the June 1 voyage from Barcelona to Venice, “Pasta from A to Z” during the May 15 sailing from Athens to Istanbul, and “Mastering Fish” on the May 22 cruise from Istanbul to Barcelona.